A Cessna Caravan ISR aircraft. The United States is halting some military assistance to Cameroon over human rights violations, with aircraft training, boats and armoured vehicles scratched off the assistance list. A US State Department official on 6 February said the United States had terminated a C-130 aircraft training programme, and halted deliveries of four Defender patrol boats, nine unidentified armoured vehicles and an upgrade of a Cessna aircraft for Cameroon’s rapid intervention battalion (BIR). An offer for Cameroon to join the State Partnership Program (SPP) has also been withdrawn. This was in response to allegations of gross human rights violations by Cameroon’s security forces in the northwest, southwest and far north regions. Cameroon has cooperated closely with the United States in the fight against Islamist militant group Boko Haram in West and central Africa. Cameroon has been fighting a Boko Haram insurgency that spilled over into its territory from Nigeria several years ago. According to the United Nations more than 20 000 people have lost their lives and more than two million people have been displaced. Rights groups have accused authorities of using the fight against Boko Haram to crack down on political opponents, and make arbitrary arrests and torture people. The United States has some 300 troops based in Cameroon to assist its military, especially in fighting extremism. Since 2002 the US has trained over 6 000 Cameroonian soldiers and provided millions of dollars’ worth of military aid. Between 2012 and 2016 the US provided $220 million in military aid to Cameroon, much of which went to training and equipping Cameroon’s military and police ($83 million), peacekeeping operations ($74 million), Building Partner Capacity ($24 million), and Counter-Drug Assistance ($11 million). 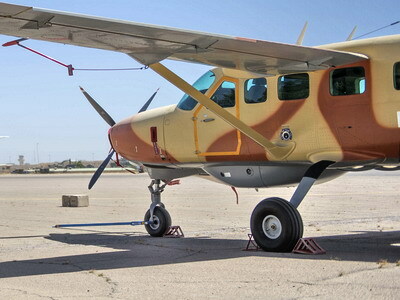 Hardware assistance included the delivery of two Cessna 208 Caravan intelligence, surveillance and reconnaissance (ISR) aircraft to Cameroon’s Air Force to help it combat Boko Haram militants in the region. The aircraft were officially handed over on 11 May 2018. In 2012 Cameroon received three Boston Whaler patrol boats from the United States to combat piracy and lawlessness in its waters, after receiving two 7 metre rigid hull inflatable boats in September 2008. In 2015 United States ordered 15 Acmat Bastion armoured vehicles from France for Cameroon. Other nations like France and Germany have also donated vehicles and equipment to Cameroon’s military.